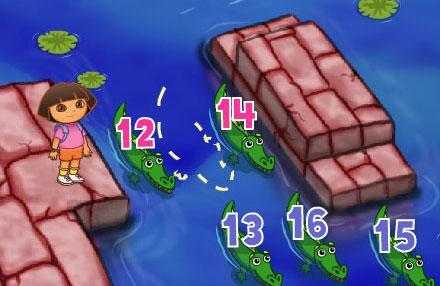 Dora's Number Pyramid Adventure is a fun game that helps to strengthen your child's counting skills. And in true Dora tradition, your child will even pick up some Spanish along the way. 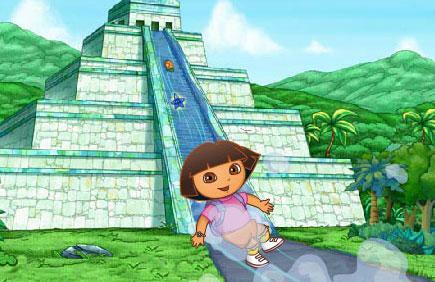 Dora sets on an adventure to free the river animals that are trapped in the Numbers Pyramid. 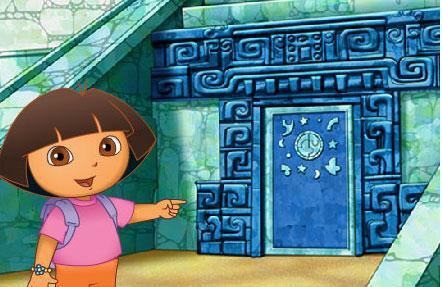 Your child will help Dora by clicking on the correct number missing from the number order along the way. When all the numbers are in their correct order, clicking on a ruby opens a secret door and frees all the animals from the pyramid in the most delightful way, via water slide. 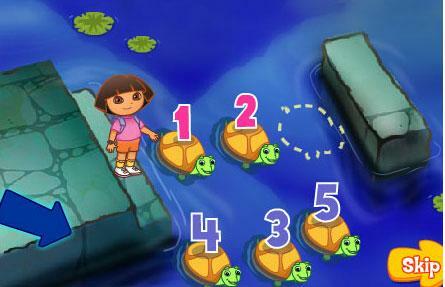 Counting- In this game, your child controls Dora as she moves towards the missing letters of the alphabet. As she collects each, letter, your child is taught the name of the letter. In addition, to retrieve certain letters, your child will have to click on three items that start with that letter, making the game more challenging. Story Telling - This game incorporates a story into it. 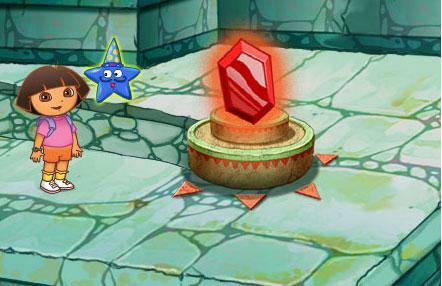 The game starts like one of Dora's television adventures. It easily distracts the child from the fact that they are learning to count. 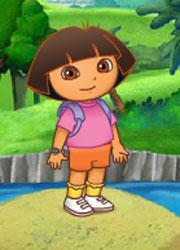 Spanish - As Dora moves along her adventure she often repeats a word she uses in Spanish as well. This is a great way to teach your child a language. She also uses words in Spanish without using the English counterparts so that the children can learn from the context. Mouse Control- To pick the correct number that is the missing component in the number pattern, your child will have to use the mouse to click on the correct answer. This is a great way to get your child introduced to the mouse. 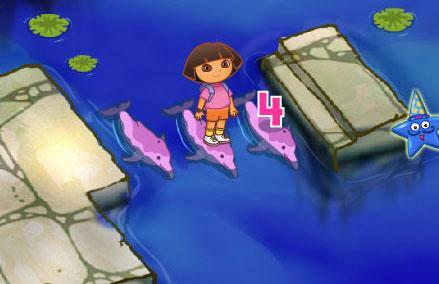 Hand Eye Coordination - By having to maneuver Dora across the water, they click on the corresponding animals that are used like a bridge. Your child learns to coordinate what he sees onscreen with fine motor skills using the mouse. Encouragement- Throughout the game Dora gives the child encouragement by saying "Very Good" but often it is in Spanish, "Muy Bueno" or "Fantastico". This helps to motivate the child. In addition, the reward for saving all the animals from the pyramid is being able to water slide down the pyramid which is visually fun for the child and motivates the child to play again. Levels of Difficulty- This game progresses in difficulty from single digits to double digit numbers, but all smaller than 20. For younger children this may be more challenging and we recommend that a parent play along with their child. Extras- At the end of the game, your child is given an option to print out a coloring page. Be the First to Post a Review!